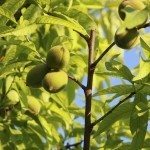 A peach tree is a great choice for growing fruit in zones 5 through 9. Peach trees produce shade, spring flowers, and of course delicious summer fruit. If you’re looking for something a little different, maybe another variety to act as a pollinator, try the Arctic Supreme white peach. 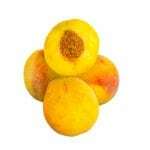 What are Arctic Supreme Peaches? Peaches can have flesh that is yellow or white, and Arctic Supreme has the latter. 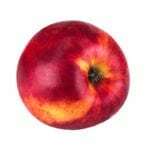 This white-fleshed peach has red and yellow skin, a firm texture, and a flavor that is both sweet and tart. In fact, the taste of this peach variety has won it a few awards in blind tests. The Arctic Supreme tree is self-fertile, so you don’t need another peach variety for pollination but having one nearby will increase fruit yield. The tree produces an abundance of pink flowers in mid-spring, and the peaches are ripe and ready to harvest as early as late July or through the fall, depending on your location and climate. For the perfect fresh-eating peach, Arctic Supreme is hard to beat. It’s juicy, sweet, tart, and firm, and reaches peak flavor within a few days of picking. If you can’t eat your peaches that quickly, you can preserve them by making jams or preserves or by canning or freezing them. The size of tree you’ll get depends on the rootstock. Arctic Supreme often comes on a semi-dwarf rootstock, which means you’ll need room for your tree to grow 12 to 15 feet (3.6 to 4.5 m.) up and across. Citation is a common semi-dwarf rootstock for this variety. It has some resistance to root knot nematodes and tolerance for wet soil. Your new peach tree will need enough room to grow in a spot that gets full sun and with soil that drains well. You may get some moisture tolerance through the rootstock, but your Arctic Supreme peach tree will not tolerate drought. Water it well throughout the first growing season and then as needed in subsequent years. This tree will also need yearly pruning, more so in the first few years as you shape it. Prune each dormant season to encourage healthy growth and to thin out branches and keep good airflow between them. Start checking your tree from mid- to late-summer for tasty ripe peaches and enjoy the harvest.